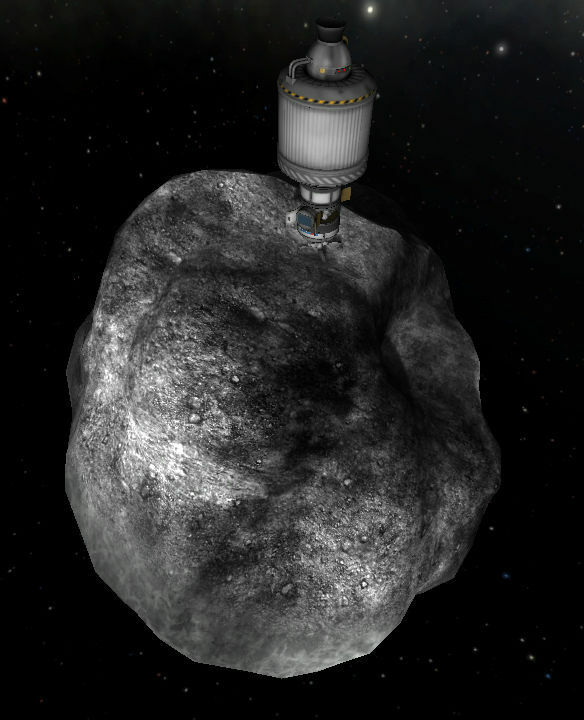 High-DV asteroid early-intercept and redirection vehicle. Made it to asteroid a month early and easily redirected it away from impact. A stock rocket called 0A William Tell. Built with 38 of the finest parts, its root part is ServiceBay.125.